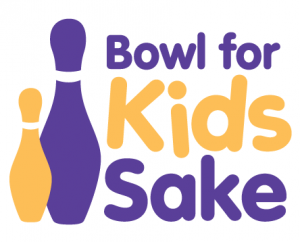 Bowl for Kids Sake will take place on Friday March 23rd, 2018 at Panorama Bowling Lanes. We are looking forward to fully booked lanes with a great atmosphere! Get together with your friends, family or coworkers and make a team! Get ready for the “Tacky Tourist” with your Floppy hats, zinc, hawaiian shirts, big sunglasses and of course, socks with sandals! Prizes for Tackiest Tourist!! So load up on the sunscreen and come Bowl for Kids’ Sake! Bowl for Kids Sake is Big Brothers Big Sisters’ premier fun-draising event. People, like you, get together with friends, family, and co-workers and have a fun time bowling in support of Big Brother Big Sister mentoring programs in our community. We encourage you to dress up in your Tackiest Tourist outfit, enter a team of 4 to 6 participants and collect pledges from family and friends. The Minimum pledges per team is $500 making it easy to support Big Brothers Big Sisters Bowl for Kids. Sign up today to start a team or join a team! Once registered, you can login to your account to customize your Personal & Team donation pages; send emails; manage offline pledges; and view the status of your Personal & Team fundraising efforts. Would you like to sponsor a friend or family member? Click “Sponsor a Participant” above to find the person and/or team you would like to support. This year, for the first time ever! Win a trip to Fabulous New York for your fundraising efforts! We will be awarding the TOP INDIVIDUAL FUNDRAISER a trip for two to New York! Sign up a team, collect the most pledges, turn them in by the March 16th deadline and you could win 3 nights and 4 days at the fabulous Renaissance Times Square. This trip WILL be given away…. it might as well be YOU!